Second Saturday at the Artsway in Denton features live artist demonstrations and art activities. This month's activity will be led by local Artist Dawn Malosh. 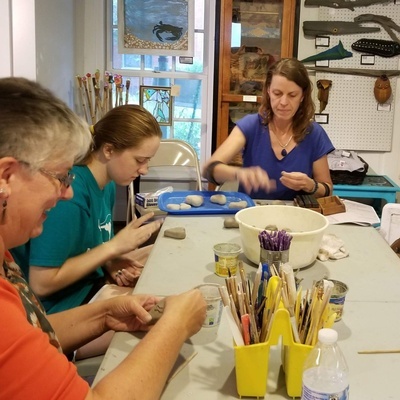 Attendees will help sculpt or glaze hearts for her public art sculpture “Clearly Loved Waterways.” Come make history and be a part of this cool public art project.